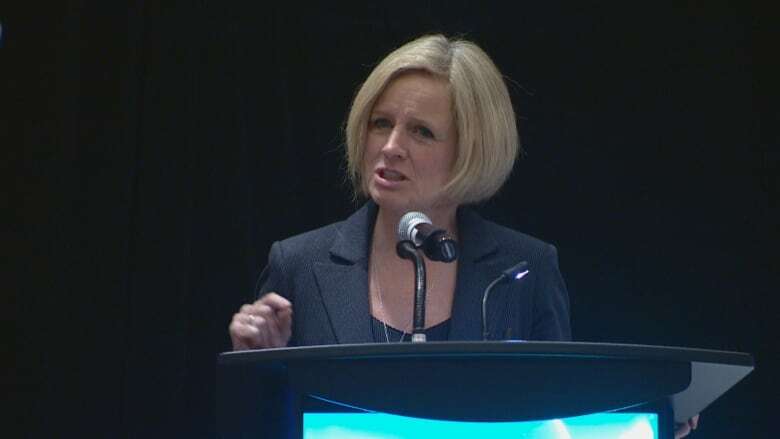 In a speech to about 200 teachers at a conference in Edmonton Saturday, Premier Rachel Notley argued that killing hundreds of thousands of jobs in the resource sector will stop progress on climate change. Anti-pipeline activist Tzeporah Berman said that is absurd. Premier Rachel Notley said United Conservative Party Leader Jason Kenney and pipeline opponents have more in common than they'd like to admit because their approaches will roll back measures to fight climate change and put up roadblocks to future economic prosperity. "In treating the economy and the environment as mutually exclusive, they will fail on both," Notley told about 200 teachers at a conference in Edmonton Saturday. "Inequality will grow, economic opportunity will shrink and we will have to look our grandkids in the eye and say, 'we didn't act when we had the chance.'" Notley argued that killing hundreds of thousands of jobs in the resource sector will stop progress on climate change. "Maybe on Salt Spring Island you can build an economy on condos and coffee shops but not in Edmonton and not anywhere in Alberta," she said. "Here in Alberta we ride horses, not unicorns, and I invite pipeline opponents to saddle up on something that is real." 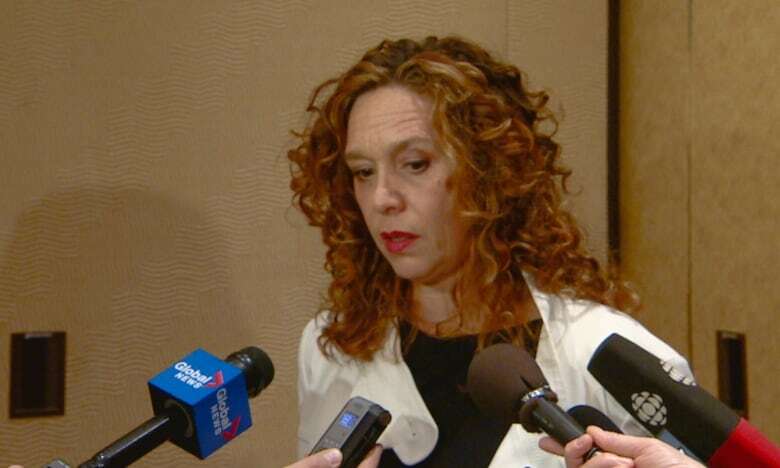 Notley made the remarks in a speech that followed a 45-minute talk by environmental activist Tzeporah Berman, a vocal opponent of the Trans Mountain pipeline expansion that will triple the capacity of an existing pipeline from Edmonton to Burnaby, B.C. Notley argues the pipeline will get Alberta crude to Asian markets, and fetch world prices for a commodity that is undervalued in the United States. She says demand for oil will continue to increase over the next 20 years, and pipelines are a much safer option than rail or truck. Berman argued the project will have profound and detrimental effects on the coastal waters around Burnaby. When asked about Notley's statements afterwards, Berman said it was absurd to suggest that building more pipelines can help fight climate change. Berman said the global economy is moving away from high carbon fossil fuels and governments have a responsibility to diversify the economy. "You don't buy more cigarettes to quit smoking," Berman said. "The fact is that we need to figure out how to build a new economy. And governments should be leading to try and find a way to build the new economy and not be defending the growth of what we know we need to move away from." The decision by the Alberta Teachers' Association to invite Berman to speak was criticized by pipeline supporters, including Kenney. The UCP leader has used Berman's appointment to the province's oilsands advisory council as a way to call Notley's commitment to the resource sector into question. In her speech, Berman thanked the ATA for not backing down. She said she has been called an eco-terrorist, an enemy of the state and a traitor over the last month. "What we've seen in the last month is our elected decision makers whipping up hate, denial, defensiveness and fear," Berman said. She said politicians are playing on people's fears about losing their jobs. The discourse has become so toxic that it is impossible to have a productive discussion about what to do about climate change, she added. "The attacks on my character have been meant to drown out what I am saying. To foment fear in Alberta that paralyzes us from progress. That's not leadership." Berman said building a more diversified economy won't be easy and won't happen overnight. She said Alberta and Canada will eventually have to switch to a low-carbon economy. It would be better to make the change deliberately, which would be less disruptive to the economy, she said.